Every year, MRO Americas brings together the most important names in the Aviation Maintenance Industry. This year, the conference will take place on April 25 – 27 at the Orange County Convention Center in Orlando, and STS Aviation Group is very proud to announce that it will be exhibiting at booth #2018. For those attending the event, we really hope that you can find the time to visit us and learn more about the all-encompassing solutions we offer to keep you flying! Attending the event for STS will be a team of 30+ executive-level team members and managers who will showcase our aerospace staffing, engineering, manufacturing, aircraft repair / modification, aircraft component sales and distribution as well as our aviation line maintenance services. No matter what your company’s pains are, STS can help you solve them by structuring a program that is unique to your organization and the immediate aircraft maintenance needs it might face. In addition to learning more about STS Aviation Group, conference attendees will also enjoy getting to spend time with more than 880 exhibitors from all over the world. For those who will be on-site during the event, you’ll be excited to know that there will be a military symposium, an aerospace maintenance competition, a golf tournament as well as MRO Americas University, which is a personalized training course that covers everything from FAA Safety Assurance Systems to Inspection Authorization Recurrent Training. OK – That just about covers it. If you’re looking for more information about STS Aviation Group and what makes us the company with “Solutions to Keep You Flying,” please click the link attached to our company name. 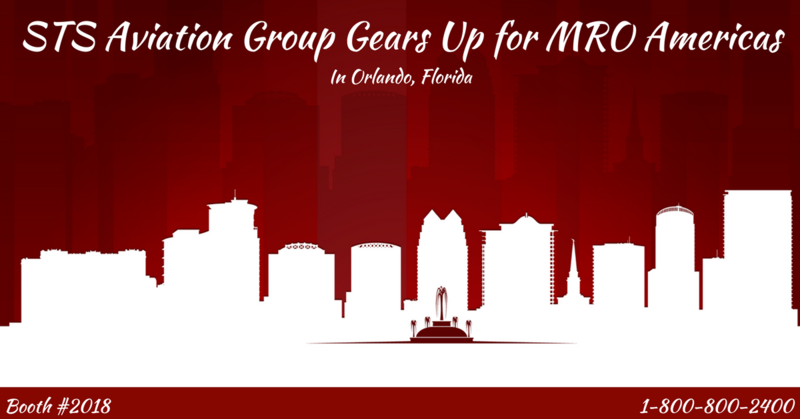 Alternatively, those who are interested in learning more about MRO Americas and the amazing aviation maintenance event happening in Orlando on April 25 -27, please click here. Thanks so much for taking the time today, and we look forward to seeing you all at booth #2018 during MRO Americas in Orlando!